Brook (Adirondack Fall Brook) X Stewie (GCh. 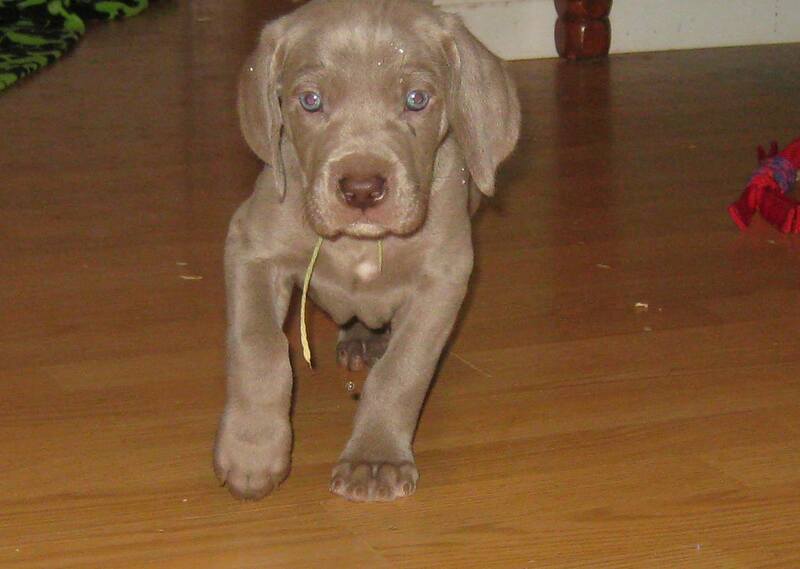 Camelot's Knockin' On Heaven's Door BROM) born 12/3/13. 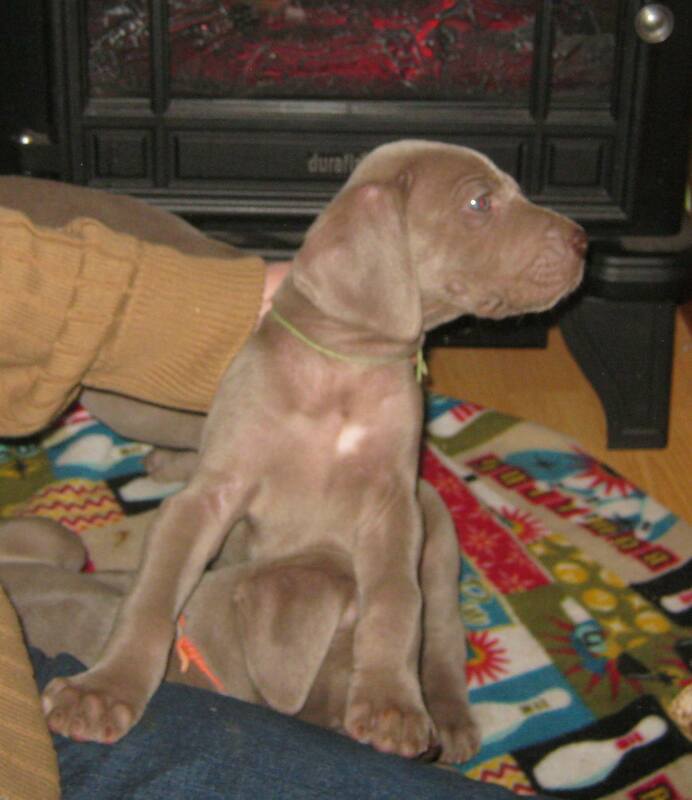 The Green Collared male and female are the 2 puppies in this litter that have a small white spot on their chest. There is also the "White Female" with a larger area of white on her chest. The Green Male has a cute circle centered on his chest. He is very handsome and super photogenic! He is more laid back but is very intelligent and knows everything going on in the room, even if he is not involved. 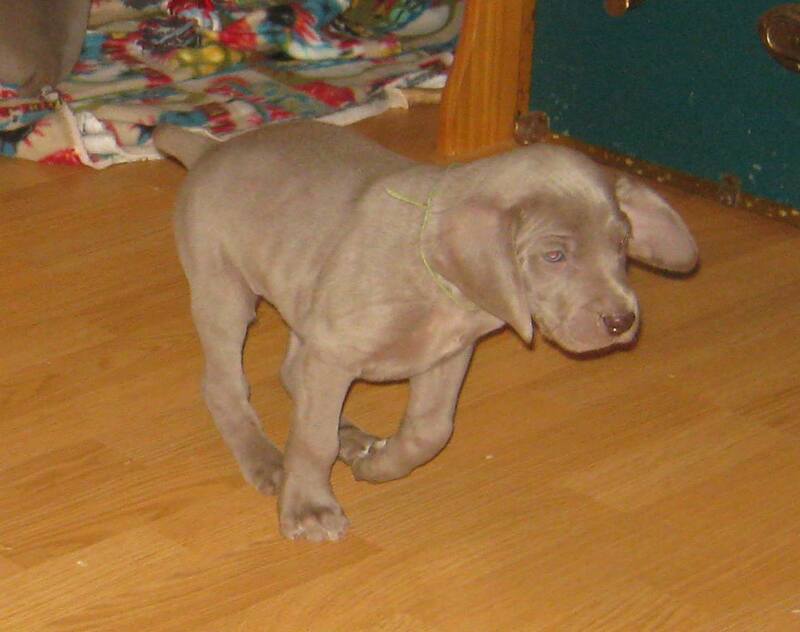 He is thick boned and should be a very nice Weimaraner.